The front calibration chart is placed directly in front of the running machine and allows you the exact horizontal calibration of your cameras. In addition the colour of the calibration chart offers a good contrast to the skin and the markers on the subjects skin. 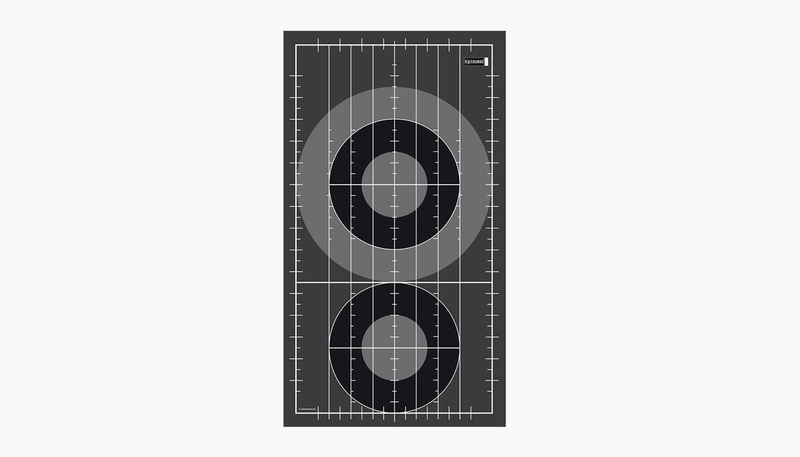 The calibration charts will be delivered on a plate ready for fixation on a wall. Fixing tools for fixation on the wall are not included in the delivery. Do not bend the calibration charts during transport, storage and in set-up, as otherwise the laminated foil might peel off from the board. Do not store any objects on the calibration chart, while it is lying on the floor, as this can also lead to warping and therefore to air blisters.